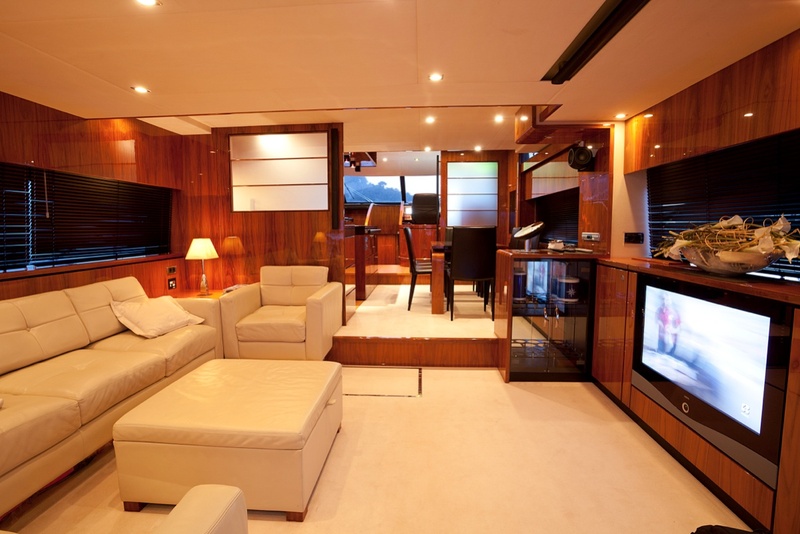 Motor yacht XKE is a Squadron 78 CUSTOM charter yacht that is equipped for relaxing and entertaining on a grand scale. 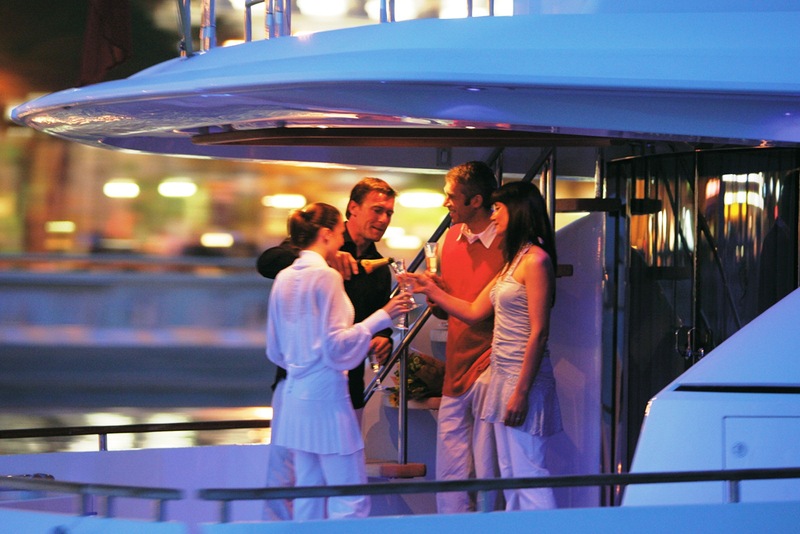 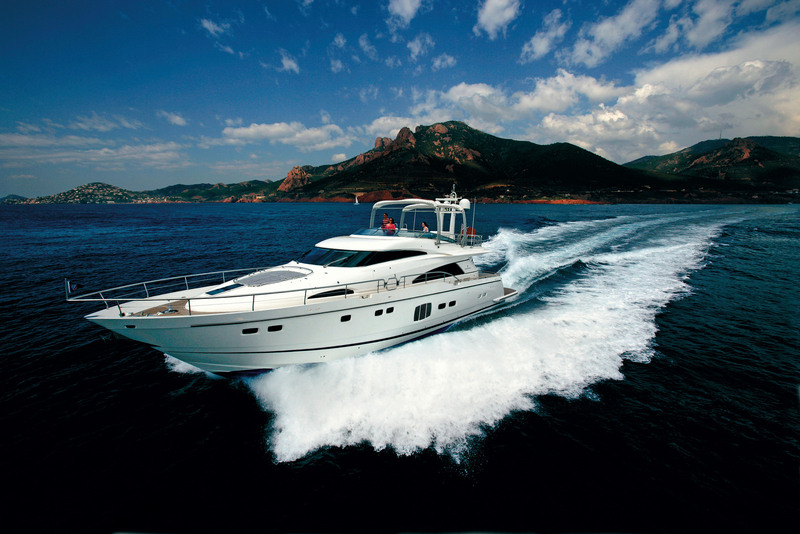 The yacht XKE is based in Italy and is able to accommodate up to 8 charter guests. 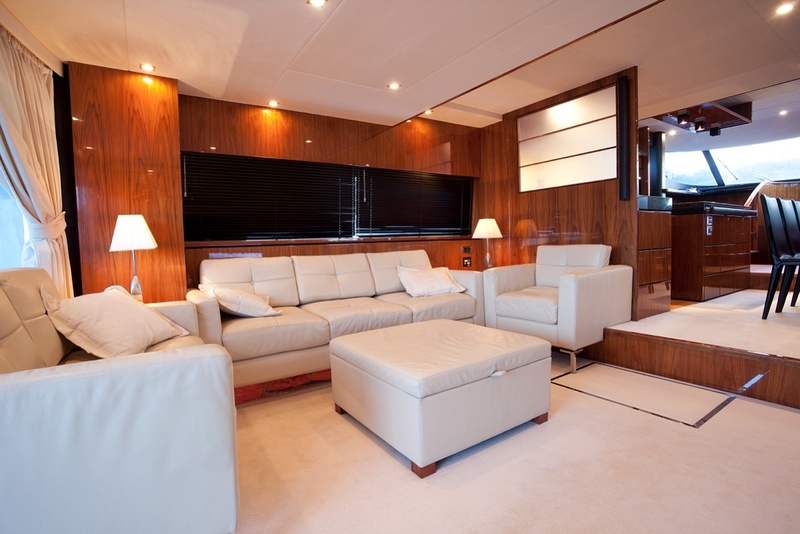 Charter yacht XKE boasts large and spacious entertaining areas throughout, from the extensive saloon and upper deck areas, through to the private staterooms, where light and space are combined to stunning effect. 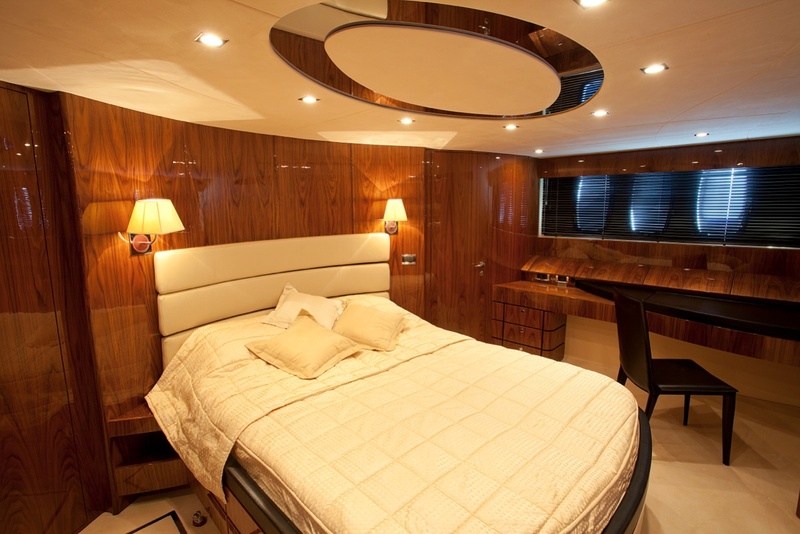 All are created using only the very finest materials, including exotic woods, hand-selected granite work surfaces and state-of-the-art design features. 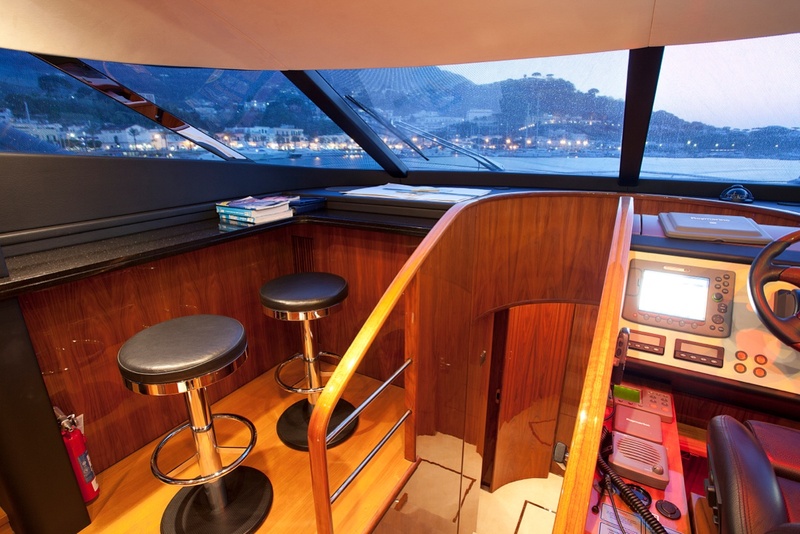 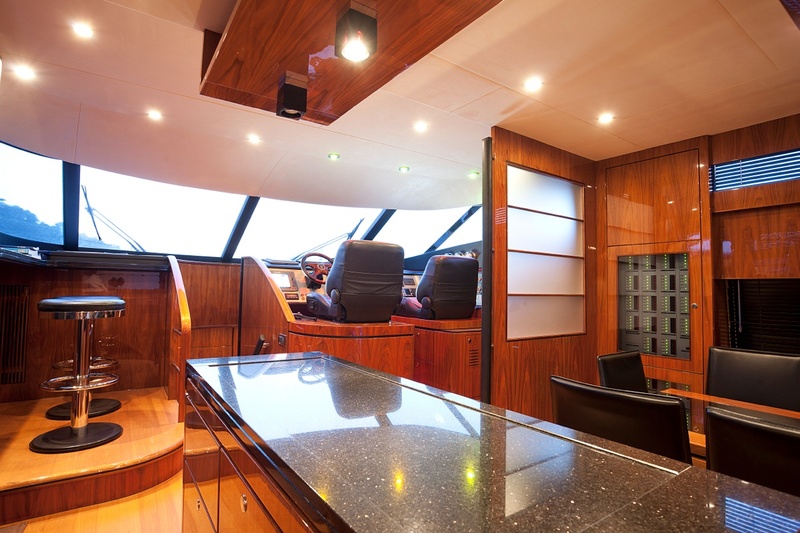 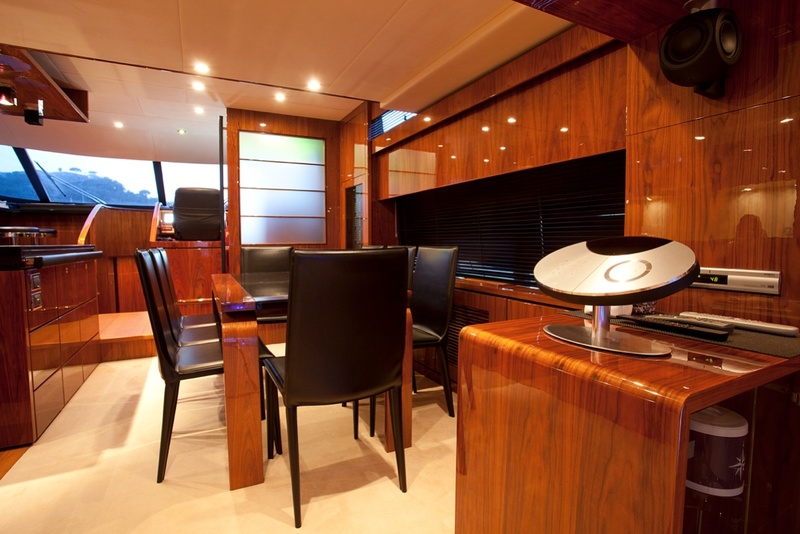 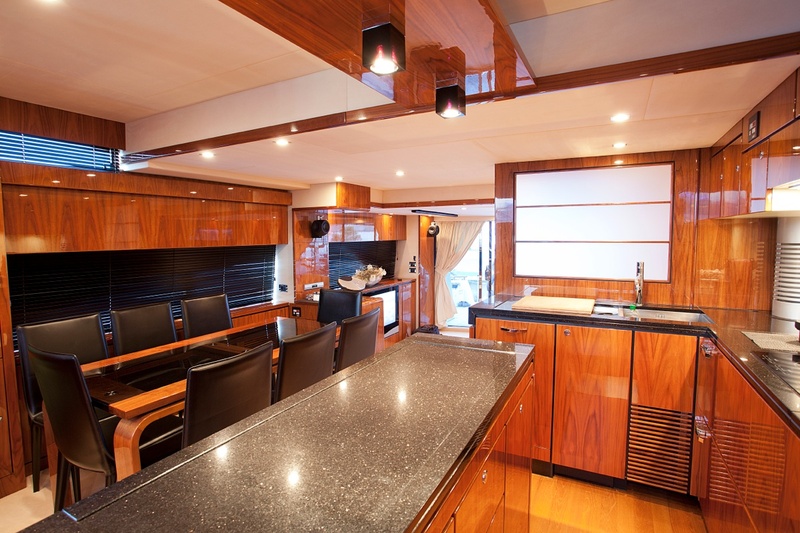 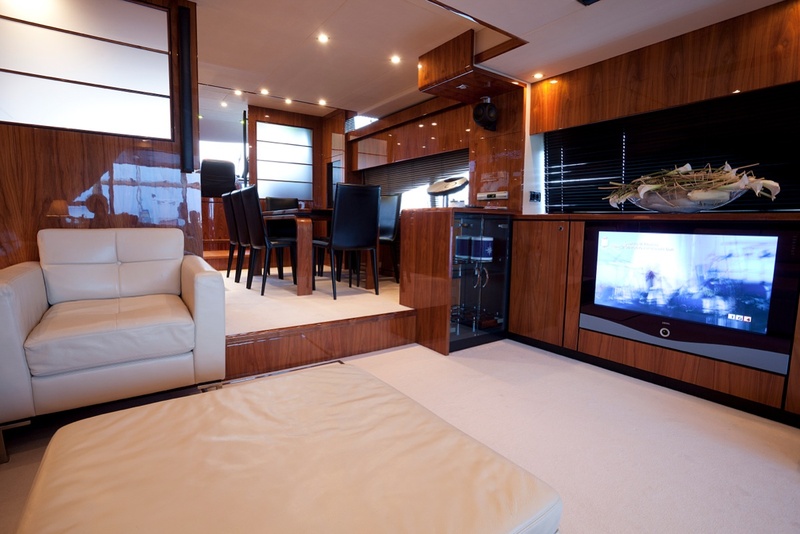 The XKE yachts dining room and galley are integrated with the saloon to create a light, sociable area. 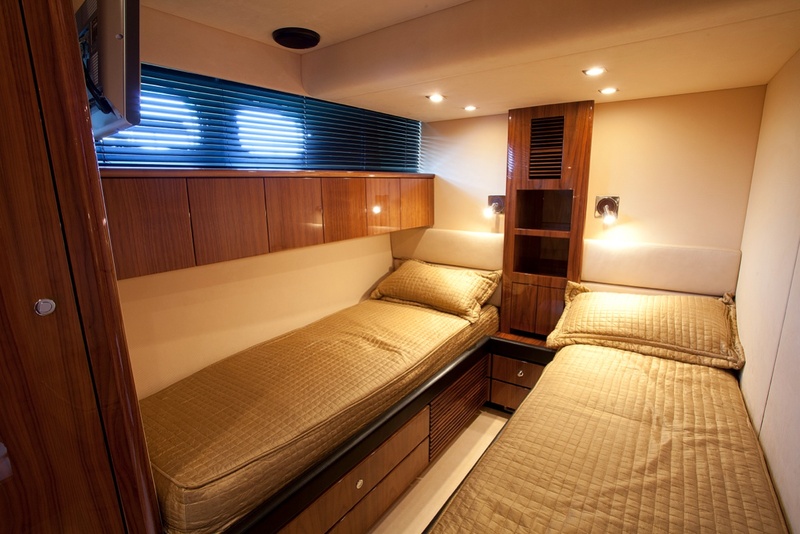 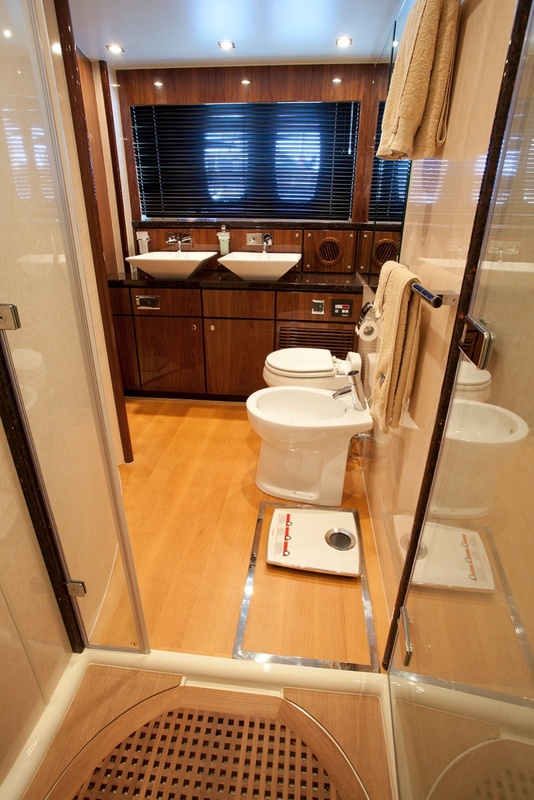 The magnificent master stateroom spans the entire width of the motor yacht and comprises an en-suite dressing room, as well as a bathroom with a large walk-in shower. 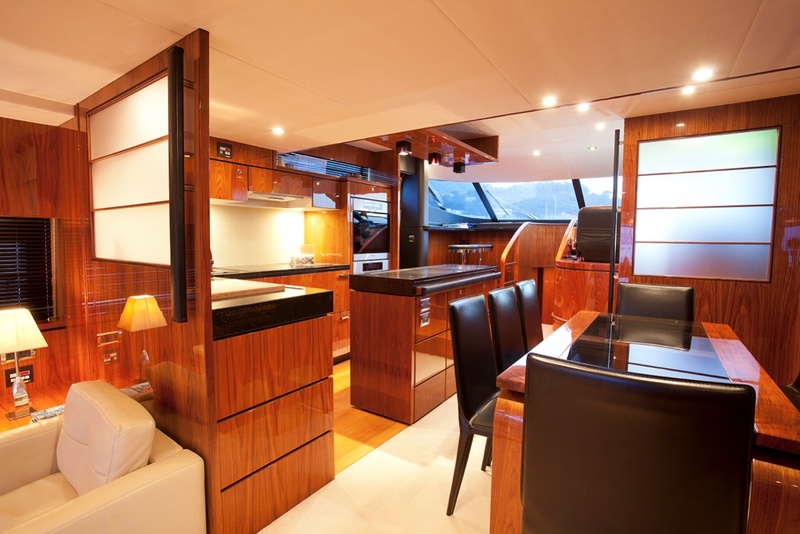 The well-proven Squadron 78 CUSTOM yacht XKE also has a huge and commanding flybridge, great for entertaining and an aft deck with an al fresco dining table. 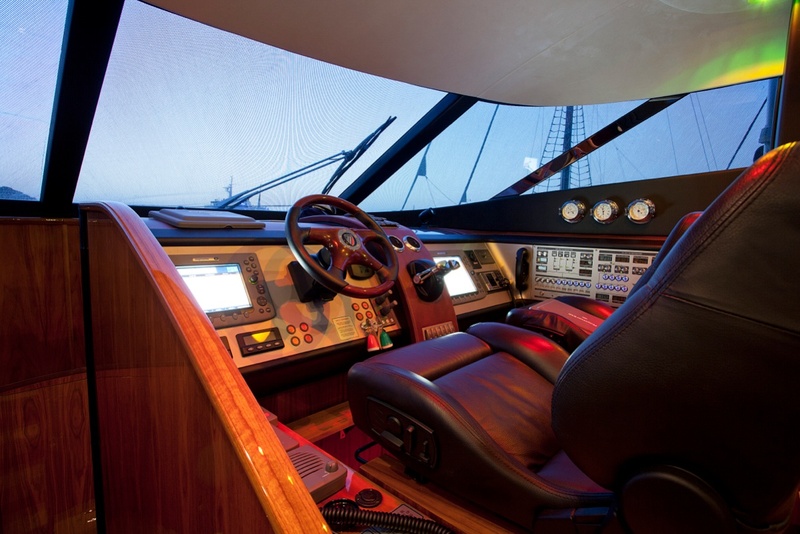 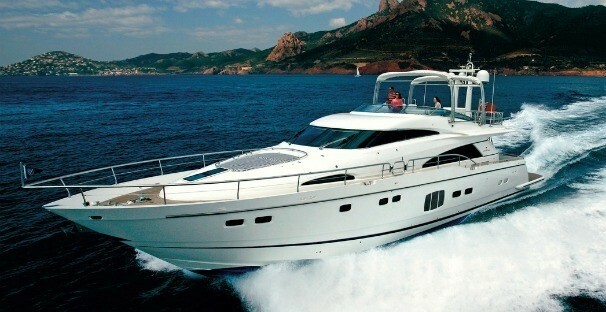 The Failrline Squadron 78 Custom motor yacht XKE is available for charters in Tyrrenian Sea and in Sardinia. 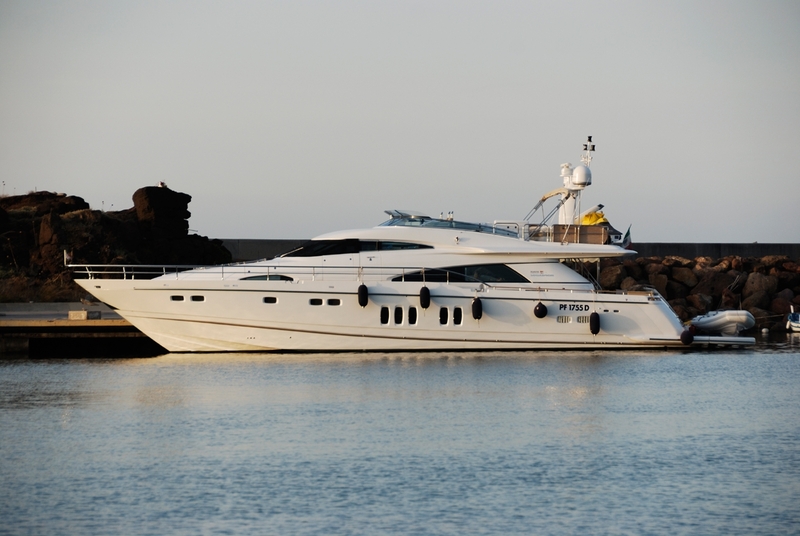 Its base at Ischia Island is ideal to reach the Amalfi Coast, Capri, Sicily and Sardinia within few hours of navigation. 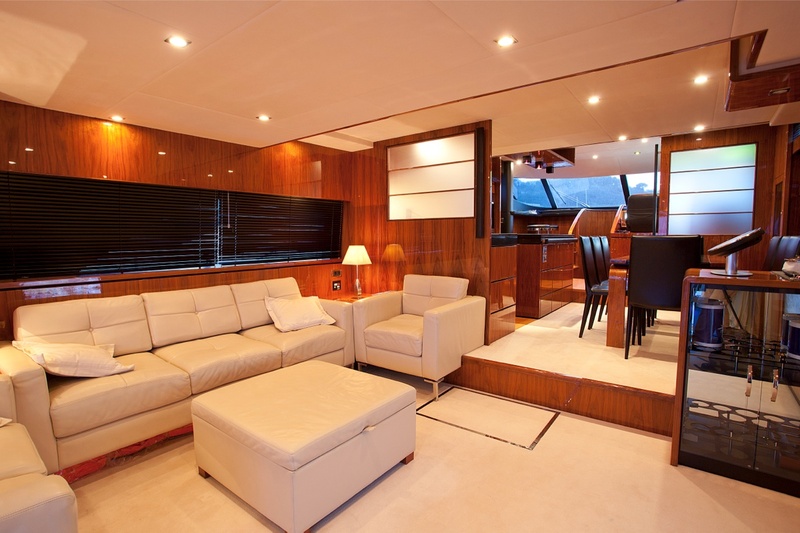 The luxury Squadron 78 Custom yacht XKE is able to accommodate 8 guests in a master cabin, a VIP cabin and 2 twin cabins, all with ensuite facilities. 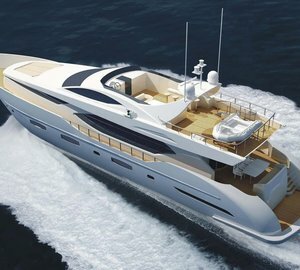 Please contact CharterWorld for a full list of extras and amenities available onboard the charter yacht XKE.